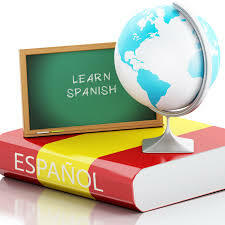 This class is appropriate for students who have some basic Spanish skills. They could have obtained these skills from taking Spanish 2 in the fall or from elsewhere (e.g., having exposure to Spanish at home, etc.). The FCPS instructor will use a variety of fun activities such as songs, word search, coloring, writing words, and crafts to teach the children Spanish. The program is primarily oral. The basic goal is simple communication related to the child’s experience and exposure to the Spanish language and culture. There is no homework, but children are encouraged to practice what’s been learned throughout the week. *Students who took Spanish 2 in the fall can/should take it again. There is plenty more to learn! Class Dates: The class will consist of 16 sessions (Tuesdays and Thursdays ). The first session will be Tuesday, February 26, and the last session will be Thursday, April 25. Dates with No Class: There will not be a class session on Tuesday, April 16, or on Thursday, April 18. Class Meeting Time: Tuesday and Thursday mornings from 8:15-9:15 am.